Countdown to Cyber Monday Deals! 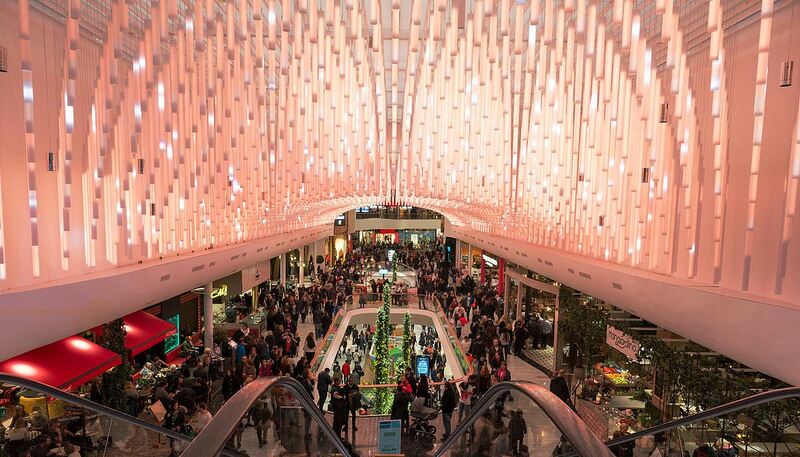 Black Friday – the “Super Bowl” of all shopping holidays is here! For the next 24-hours shoppers around the nation can rejoice and celebrate the great deals and exceptional promotions they will find at numerous retailers and shopping venues. Our buyers and merchandising sales team at World of Watches have spent countless months working on our Black Friday shopping event. 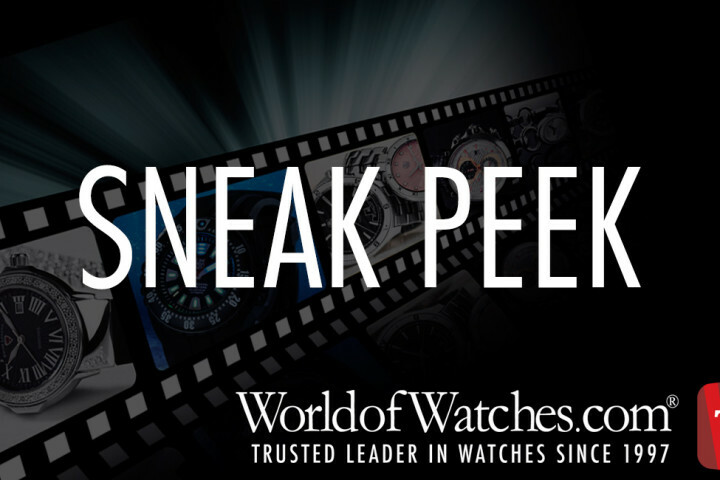 Close to 400 of today’s most-wanted men’s and women’s watches and designer sunglasses are featured in the promotion at jaw-dropping prices you have got to see to believe. 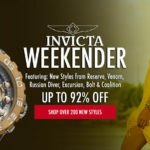 Many of our top-selling styles are featured in the limited-time promotion, including highly sought-after models from Michael Kors, Invicta, Lucien Piccard, Rolex, Rado, Cartier, Corum, Swiss Legend, Breitling, Maurice Lacroix, Oris, Raymond Weil, Bulova Accu-Swiss, Luminox, Citizen, Bedat & Co., Elini Barokas, ESQ Movado, Seiko, Gucci and Oris…all at savings up to 90% or more. 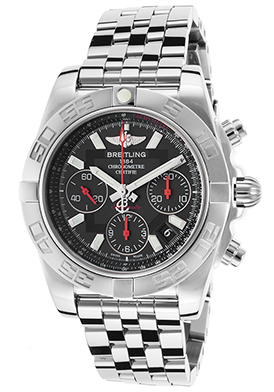 The Breitling Chronomat 41 Automatic Chronograph is a stand-out Black Friday buy and an exceptional gift for men. 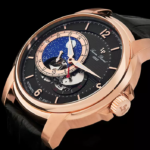 This precision crafted Swiss-made men’s watch has been awarded Chronometer certification from the esteemed COSC (Swiss Chronometer Testing Institute). The highly pronounced case and matching multi-link bracelet in premium grade stainless steel are highly polished to a lustrous glow. A semi exhibition skeleton case back lets you see the automatic movement inside. The unidirectional rotating bezel with engraved markers surrounds the legible black dial with three sub-dials, luminous sword hands and luminous hour markers. Features include an automatic date calendar between the 4 and 5 o’clock hours, small-second, 30-minute and 12-hour countdown timers. 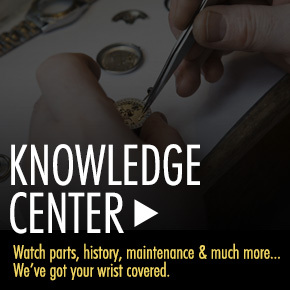 Additional features include a scratch resistant sapphire crystal above the dial, along with a locking screw-down crown and case back for water-resistance to 200 meters or 660 feet. The Breitling Chronomat 41 Automatic Chronograph is 41mm in diameter and 15mm thick. The Corum Heritage Artisan Feather Diamond watch is a breathtaking Black Friday selection for women. This glamorous women’s watch features the generous oversized stainless steel case, highly polished to a mirror-bright glow. The exquisite blue alligator strap adds to the classically elegant design. Fifty-four shimmering round-cut diamonds are pave-set to perfection on the perfectly round bezel in polished stainless steel. The captivating blue feather pattern dial shines with silver-colored sword hands. An exhibition skeleton case back lets you see the intricate Swiss-made automatic movement inside. Features include a scratch resistant sapphire crystal above the dial and water-resistance to 50 meters or 165 feet. 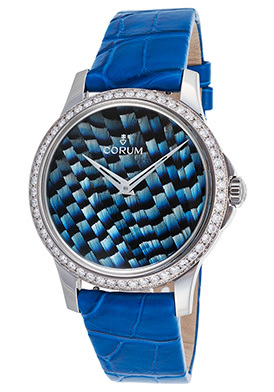 The Corum Heritage Artisan Feather Diamond watch is 39mm in diameter and 11mm thick. 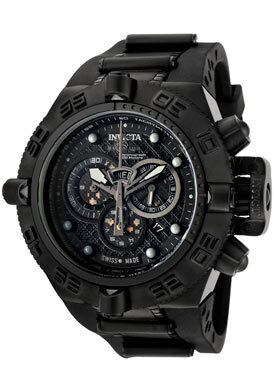 The Invicta Subaqua Noma IV Chronograph for men is a popular Black Friday choice and is certain to sell-out quickly. This dynamic men’s wristwatch features the robust 50mm diameter, 20mm thick case in black ion-plated stainless steel with a satiny brushed finish, presented on a black rubber-look strap with black ion-plated stainless steel accents. A protective cover on the crown adds to the bold design. The unidirectional rotating bezel in black ion-plated stainless steel surrounds the black dial with three sub-dials, luminous hands and luminous cabochon dot hour markers. Premium Swiss-made quartz movement inside assures you of precise time-keeping accuracy. Additional features include a screw-down crown and case back for water-resistance to 500 meters or 1, 650 feet along with a scratch resistant Flame Fusion crystal above the dial. TechnoMarine Cruise Diamonds Chronograph is another dazzling Black Friday watch choice for the special woman in your life. This trend-setting women’s watch is ultra-chic and at the fashion forefront with a lustrous yellow gold-tone stainless steel case and clear silicone case cover. The bright white silicone strap adds to the fashionable good looks. An additional white case cover and interchangeable brown silicone strap add additional color options. Additional features include quality quartz movement inside, along with a locking screw-down and case back for water-resistance to 200 meters or 660 feet. 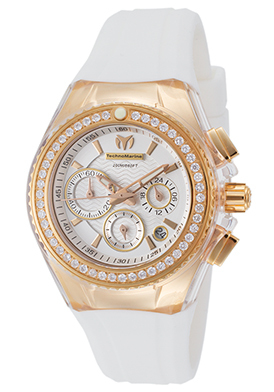 The TechnoMarine Cruise Diamonds women’s chronograph is 37mm in diameter and 13mm thick. The Lucien Piccard Santorini men’s timepiece captures the magic of the Greek island it is named after with a vibrant multi-layered blue dial featuring a silver colored background, small-second and 24-hour sub-dials, along with skeleton sword hands and Roman numeral hour markers. The timeless traditional styling recalls the opulence and grandeur of the brand’s early timepieces with a amply proportioned case in polished premium grade stainless steel, presented on a handsome crocodile-textured black leather strap with a convenient deployment clasp closure. The granular polished steel crown adds to the classic appeal. Features include quality quartz movement inside, a scratch resistant Sapphitek crystal above the dial and water-resistance to 30 meters or 100 feet. 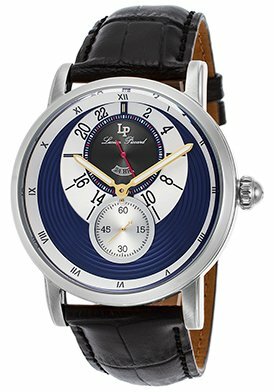 The Lucien Piccard Santorini men’s watch is 45mm in diameter and 12mm thick. The Bulova Diamonds women’s watch glistens in sparkling diamonds and stainless steel. The classic contemporary contours are graceful, appealing and ideal for today’s woman. The cushion-shaped case in brushed and polished stainless steel is presented on the slender triple-link bracelet in brushed and polished stainless steel. Forty-six glistening diamonds are pave-set to perfection on the perfectly round bezel. The silvery- white dial shines with silver-colored baton hands, Roman numeral and baton hour markers. Features include a scratch resistant sapphire crystal above the dial, precise quartz movement inside and water-resistance to 30 meters or 100 feet. 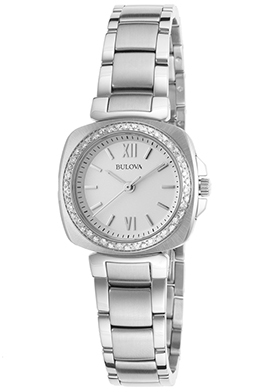 The Bulova Diamonds women’s watch is 26mm wide and 8mm thick.